Get the Best Planning Tips for Canadian Snowbirds! If you’re an experienced snowbird you already know that being away for an extended amount of time in the winter requires considerable planning and organization to avoid issues and make sure your trip goes smoothly. 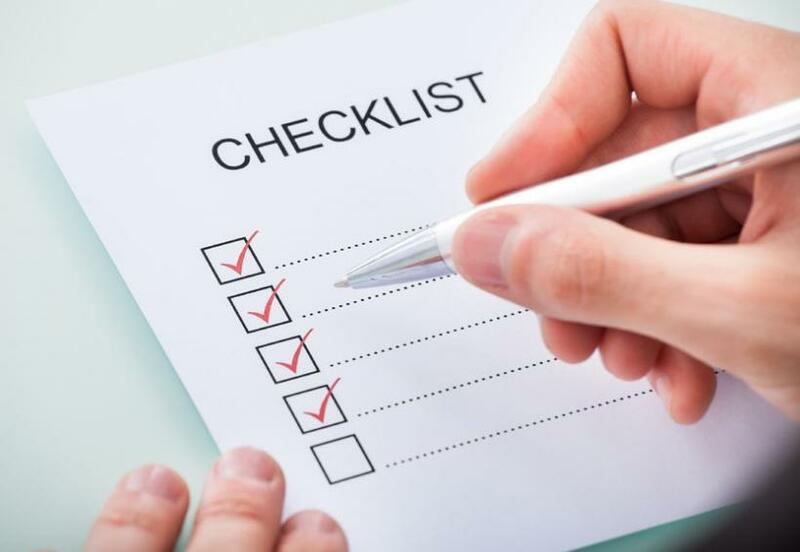 With so many things to attend to before you depart for your winter in the sun, our annually updated snowbird checklist is a handy tool to help you remember everything you need to take care of. If you’re a new snowbird going away for the first time this coming winter, this checklist will be particularly helpful. And for you experienced snowbirds - you just might discover something new you hadn’t thought of! Renting: If you’re planning to rent a place for a long-term stay over the winter, the first thing you MUST do is book far in advance. Most long-term rentals in snowbird destinations are booked a year in advance, often by the people who rented them last season. You cannot start this process too early. Otherwise, you will be relying on cancellations hoping that space opens up for you. Make sure you stay in touch with your landlord or rental company to reconfirm your booking. You can get more tips on snowbird rental accommodations here. Travel insurance: It is essential for every Canadian snowbird to get travel medical insurance. While none of us expect to suffer a serious injury or health issue while abroad, it does happen, and the consequences of not having sufficient travel insurance can be catastrophic. Ideally, you should take care of this in the late summer or early Fall. Make sure you find travel insurance that fits your specific needs and travel plans. There are many companies offering travel insurance for snowbirds and it pays to have a broker search for you or do your own research to find the best snowbird travel insurance deal and the right policy for you. We've also launched our own travel insurance solution, Snowbird Advisor Insurance, featuring an exclusive 5% discount for Snowbird Advisor members, policy options that provide coverage pre-existing medical conditions with NO stability period requirement and more. Auto insurance: On the insurance front, you'll also want to make sure your vehicle insurance covers your needs, as some auto insurance policies have certain restrictions and time limits that you may not be aware of if you're going to be away for an extended period. Flights and rental car: It pays to book well in advance to make sure you get the dates you want. Flights near the first of the month often get booked up fast. Don't assume that flight schedules are the same as last year. Airlines change both the destinations they fly to, as well as flight times and frequency, so you may find that a new airline is flying to your destination or an airline that used to fly there no longer does. Consulting a travel agent is a good idea to make sure you are aware of all of the flight options available to you. If you’re using points you will need to book well ahead to make sure there is availability. Generally, prices are also better the earlier you book. See our top tips for finding the best snowbird airfares. Similarly, if you are looking for a long-term car rental you will need to shop around for the best rates and book early to take advantage of lower prices and secure the vehicle you want. Some used car dealerships in popular snowbird destinations offer long-term rentals that can be a very affordable option. Vehicle delivery: If you are not planning to drive yourself, but want your car delivered to your winter home, you will want to start early to find a drive away service or person who will do this for you. If you are planning to ship your car by transport truck, again, you will need to make arrangements well ahead of time as these companies get booked up for peak times. Learn more about snowbird options for getting your car to the U.S. Medication: Order enough of the prescription medication you need for the duration of your stay outside Canada. Make sure all of your medication is clearly identified with its original labels and keep your receipts to ensure you don’t run into trouble at the border. If you are flying, never put your medications in checked luggage. Vehicle Registration & Insurance: If you’re bringing your car, make sure your vehicle registration & insurance don’t expire before you return, and be sure to renew them before you leave if you have to. Driver’s License and Health Card: Check your provincial health card and driver’s license to make sure they don’t expire before you return and renew them if needed before you leave. Travel Documents: Make sure your passport and/or Nexus card don’t expire until well after you return. While the U.S. has waived the “valid for 6 months after you return rule” many other countries require this, so if you are thinking of taking a cruise while you are away, make sure your passport has sufficient validity. Insurance Policy & Emergency Contact Card: Bring a copy of your travel medical insurance policy and the emergency contact card your insurer provides you with. Power of Attorney & Living Will: It is always a good idea to have a Power of Attorney in place in case anything should happen while you are away that prevents you from dealing with your affairs. Banking: Make sure your credit cards don’t expire while you’re away and renew them if necessary. If you haven’t already, set up online banking and bill payment and arrange to receive your bills electronically so you can stay up to date and pay them online while you’re away, including hydro, gas, water, sanitation, property taxes, rent and mortgage payments, among others. You may also want to consider setting up cross border banking to save money and make things more convenient while you’re away. Learn more about cross border banking for snowbirds. Pet Preparation: If you plan on taking your pet with you, make sure they have all the right documentation to travel. Check out our snowbird guide on travelling with pets. Duplicate Documents: Create photocopies or scan all of your important documents to your computer and keep them in one easy to access place in case your original documents are lost or stolen (ie. insurance, vehicle registration, driver’s license, health card, passport, NEXUS card, etc). Also, consider giving a copy to a family member or friend at home in case your backup is lost or stolen as well. Home Insurance: Check your home insurance for requirements when you are away from your home. Most policies require daily or every other day inspection by someone. Inspections: Arrange for a service, friend, family member or neighbour to inspect your home regularly while you’re away to meet insurance requirements and check for frozen pipes, ensure snow & ice clearance, etc. Mail: Make arrangements for your mail at home – either have it held at the Post Office, or forwarded to your winter address, or arrange for someone to collect and sort it for you. Fridge: Clean out your fridge and freezer of all perishables and empty the freezer in case of a power interruption – or, empty them entirely and turn off, leaving the door propped open. Service Suspension: Make arrangements to suspend services at home like your landline, cable and internet. Condos: If you live in a condo, you can shut off water into your unit or make sure someone is checking your unit according to your insurance requirements. Often the superintendent or concierge can perform these duties in their spare time for a fee. Vehicles: If you are leaving a vehicle at home, ask your insurance company if you can get any credit for the vehicle not being used for a number of months. Consider putting a cover on it to keep dust off. Plan your route ahead of time and make hotel reservations in advance. You will want to have enough U.S. cash for the journey and any unexpected emergencies, such as speeding tickets that must be paid in cash. Before you go, have your vehicle serviced and check tire pressure, brakes, etc. Make sure your vehicle ownership and insurance certificates are in the vehicle. Make sure your passport and NEXUS cards are handy for crossing the border and not packed in the trunk. Have the full address and zip code of your rental home or the home you own in the U.S. with you to show at the border if requested. Be sure to declare any food that you are taking across the border. Banned foods will be confiscated. Many snowbirds prefer to buy their food once they have crossed the border if travelling by car or RV. Pack a small case of bottled water so you have plenty for the journey and your hotel stays. Pack a small carry-on bag with all that you need for the journey (including lighter clothes as you get farther south) and take this into your hotel at night (include toiletries, laptop or tablet, chargers, changes of clothes and anything else you will need on the way down). This way you don’t have to lug your big suitcases into the hotel each night. Don’t pack too much! Most of us take lots of clothes we never use. Remember you will have laundry facilities where you’re going. Travel light! Remember that it can be cold some of the time, so take a light jacket and sweaters. Remember to take all your chargers for phones, kindle, tablet, laptop, shaver, etc. Consider taking your own beach towels. Pack any sports equipment such as golf clubs, tennis racquets, etc. DON’T pack or take any banned foods, as they will be confiscated at the border. This includes fresh fruit!